If you’re a baseball fan… actually, scratch that. If you’re a fan of sun, fun, and family activities, then consider a trip to Florida for Major League Baseball Spring Training. There is less than two weeks left in the spring training season, with the final games taking place on March 26, but that means you have time for a quick weekend getaway. While 15 MLB teams play all over the state of Florida in the Grapefruit League (the spring league of teams that play in the Sunshine State to practice for the regular season), there are a few areas where you can hub your activities: Orlando, Fort Myers, and Tampa. Out of the 15 teams, you and your family can easily get to 10 ballparks. The other five are on the east coast of Florida, and if you have more time, you can stay in the Jupiter area, which is between the three ballparks on that side. The Wyndham Lake Buena Vista hosted my family for three nights in December when we visited Disney World. We cannot wait to go back! Orlando is a great choice for a multifaceted vacation that includes baseball, beach, and theme parks. 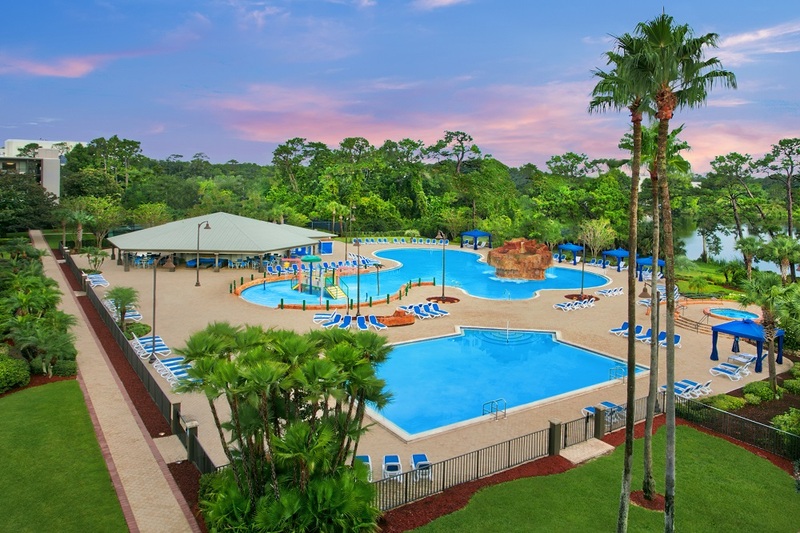 The Wyndham Lake Buena Vista is my top choice for a home base while you’re staying in Orlando, because it has some significant benefits: one, it’s within walking distance to Disney Springs, which includes a host of restaurants, shops, and activities. Two, it offers a Disney character breakfast on the grounds, which is much easier than schlepping the family over to one of the other more-crowded properties. 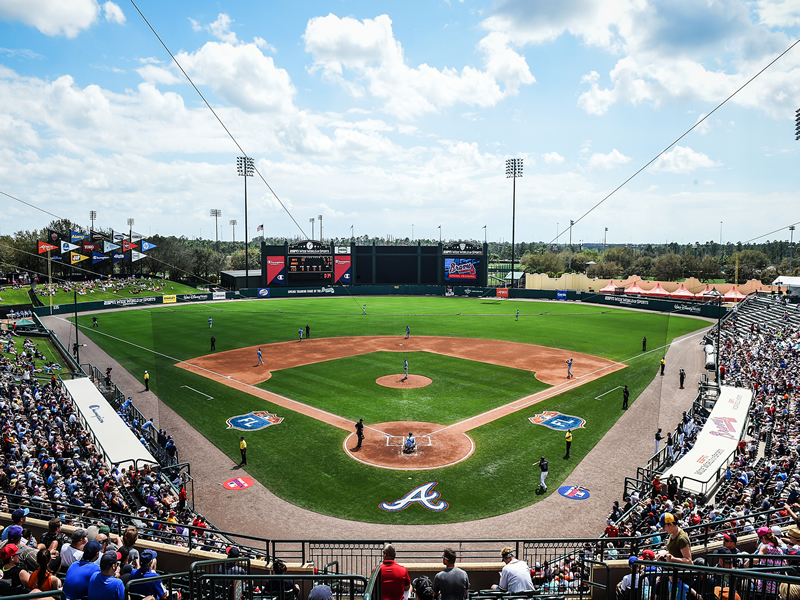 And three, it’s an easy ride to the ESPN Wide World of Sports Complex, where the Atlanta Braves play. Not far from Orlando, the Detroit Tigers play in Lakeland, and from there, it’s a hop, skip, and a jump to Tampa, Bradenton, and Clearwater, where you can catch several other teams. At the Wyndham Lake Buena Vista, a giant pool and water playscape beckon to the kids while you sip a fruity beverage from the poolside bar. While you’re relaxing, food is available as well as towels and immaculate chairs. If you happen upon a rainy day, the interactive children's area in the lobby includes a Nintendo Wii. Map out your route and decide which direction you’re going to go, based on your schedule, flight opportunities, and favorite teams. Buy tickets ahead of time, especially if you want to see Yankees, Phillies, or Red Sox games. And definitely if you want to catch two of those teams playing each other. Every park has scalpers selling tickets. If money is no object and you want to give it a shot, you can almost always find tickets, particularly if you wait until just after the game starts. Don’t forget sunscreen: shade is not plentiful, and most of the games start at 1:05 PM. Staff will look inside your bags at the front gate, but I brought a backpack with sunscreen and water into every game, and no one had a problem with that. Add to your checklist: baseball hats, sunglasses, and cash – most ballparks took credit cards, but a few required cash for the concessions, and the ATM line is usually long. Parking is a fairly lengthy walk to the ballpark, but the parking is well-organized; consider valet. Seats behind home plate (section 115, row T) are fabulous and mostly in the shade for the evening game. You may see Mickey Mouse and Goofy in baseball uniforms! The food includes the standard hamburger/ hot dog/ pretzels around the main base gates. Being Disney, they are very attentive to food allergies; a personal chef near the first base gate told us exactly what my son could and could not have with his egg allergy. Go! 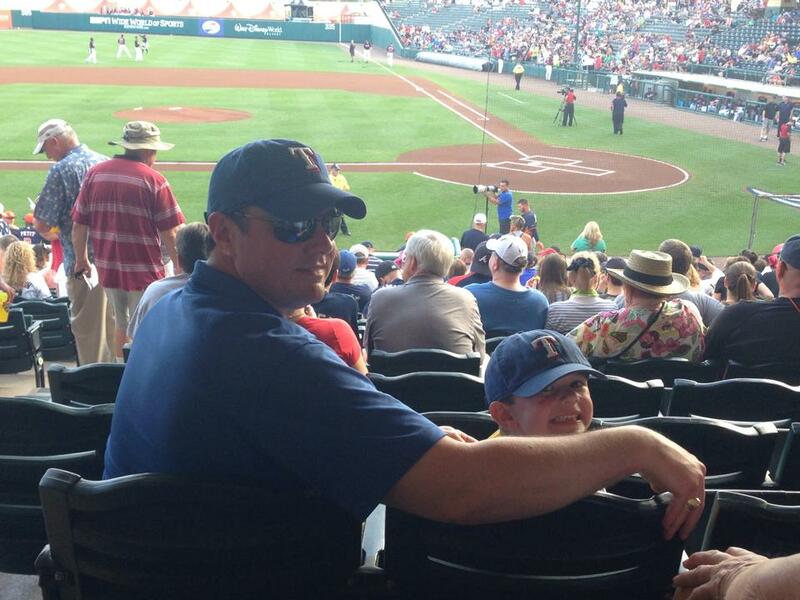 Catch a few games - and maybe even a fly ball or two - before the season is over. It’s worth the trip.